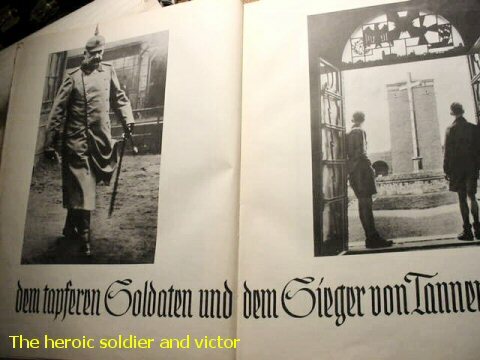 DESCRIPTION: The long subtitle says: "The honor and memorial book for the fallen of the world war. 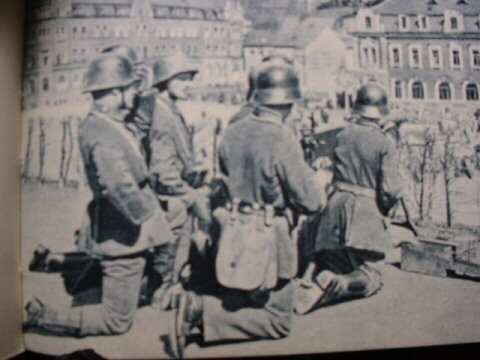 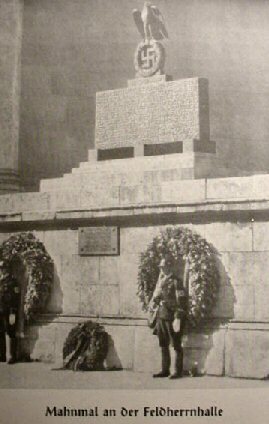 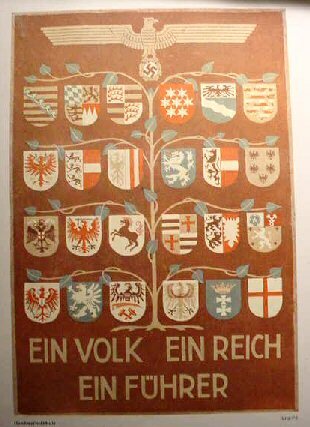 The dead in battles in the German homeland, in the east and west, on the Rhine, Ruhr, and the Saar and the fighters and the victims who fell on the way to the Third Reich." 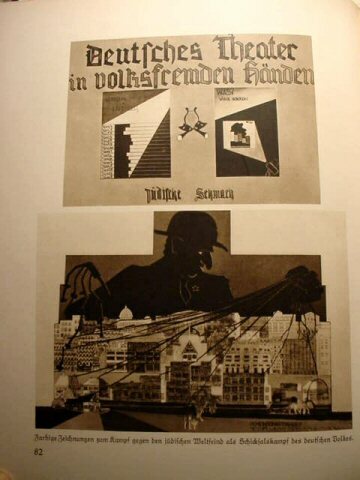 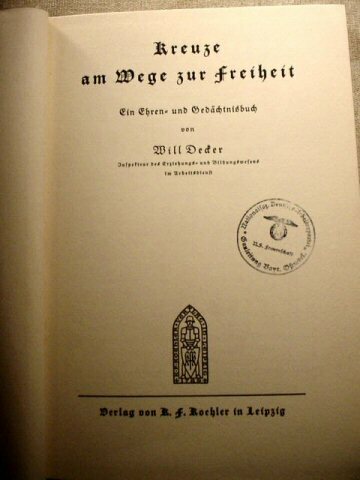 This 160-page book was published in 1935 in Leipzig and with text by Will Decker. 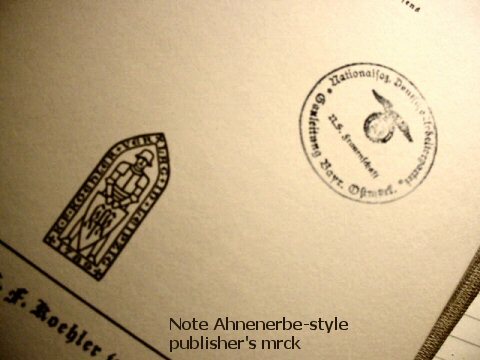 It has a stamp on the title page from the NSDAP Fraunshaft (Woman's Division in the Bavarian Ostmark). 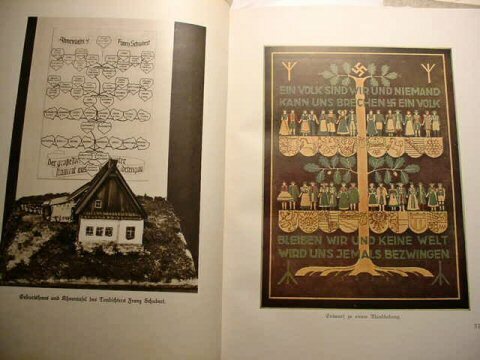 This book was also from the SS Totenkopf library; however, it has no ex libris plate. 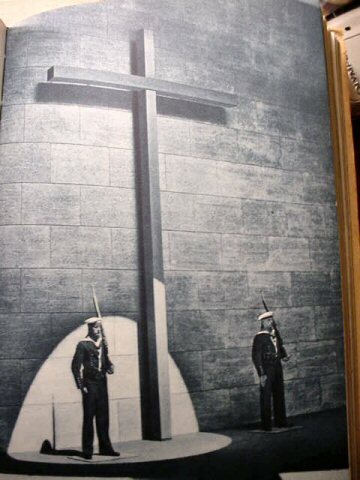 There are many pictures in a bluish tone. 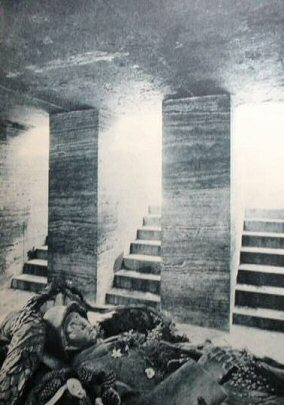 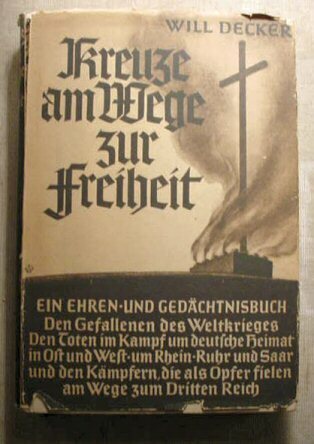 Much of the book portrays the death and remembrance of heroes as the subtitle implies. 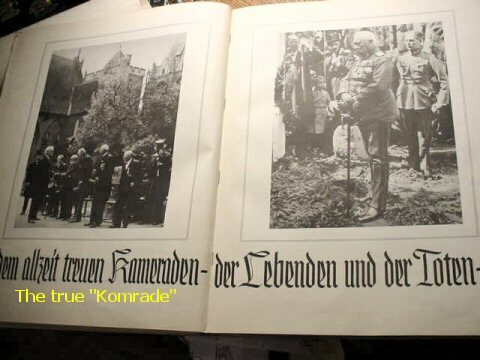 A rare historic work. 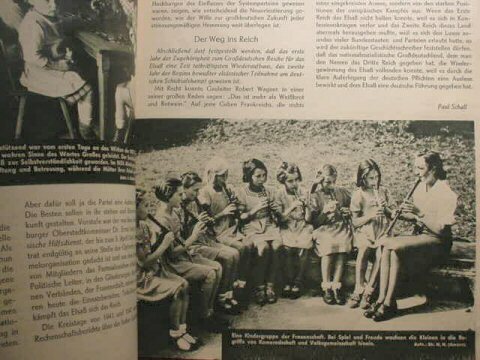 DESCRIPTION: This book Erziehung zur Volksgemeinshaft, Education for the People's Community (The New Way! 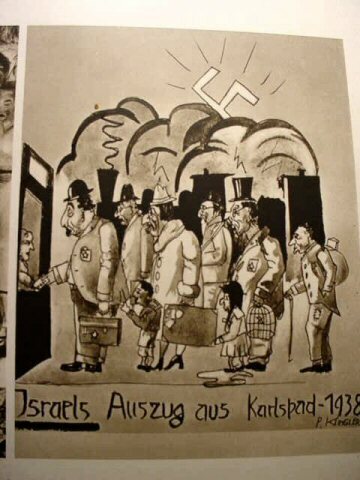 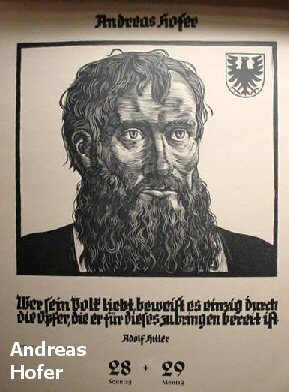 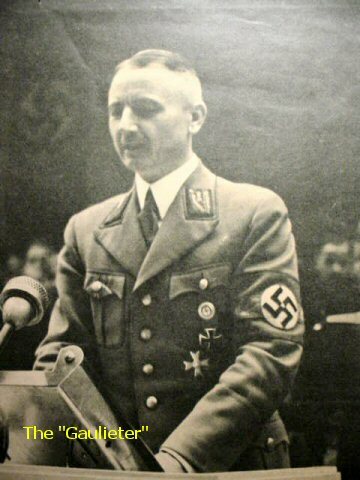 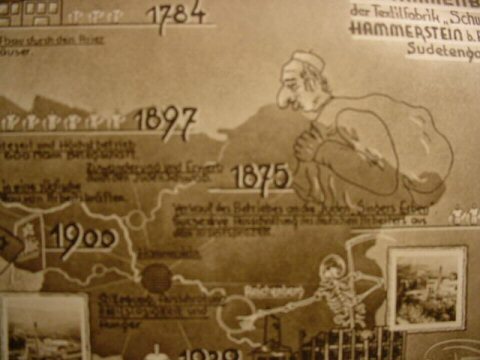 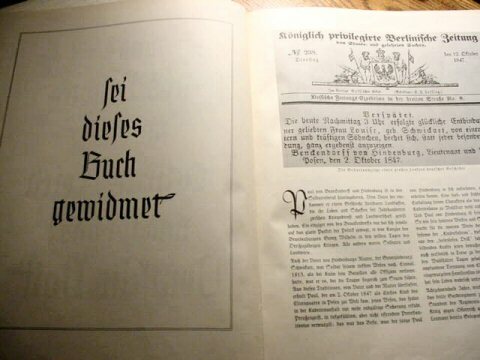 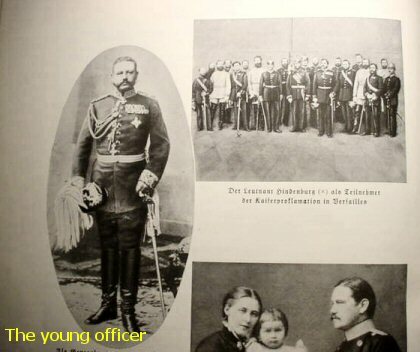 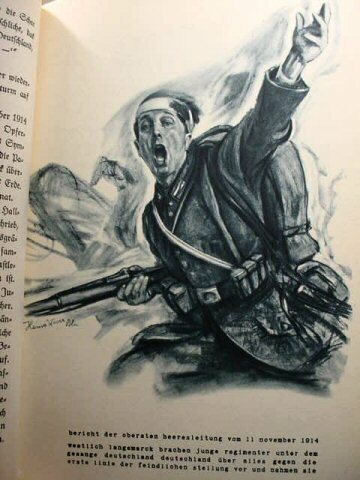 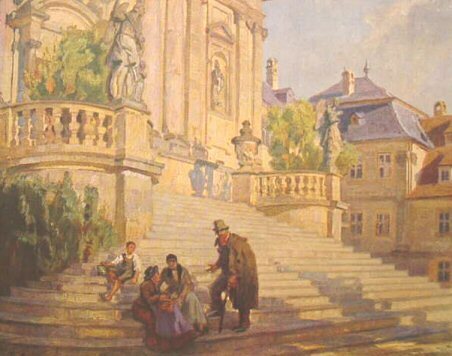 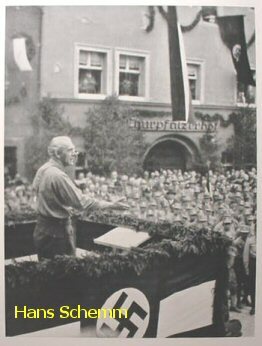 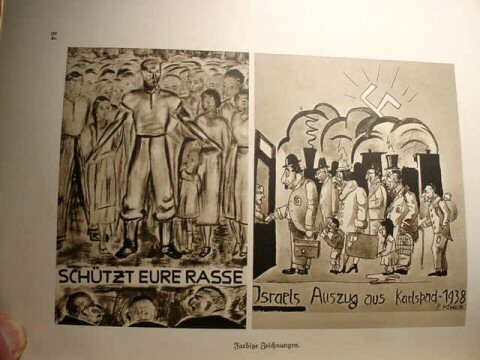 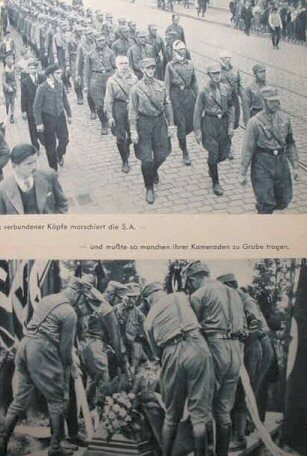 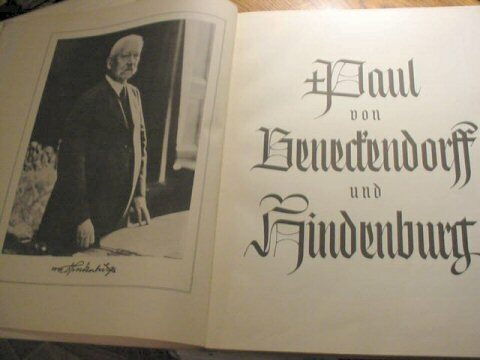 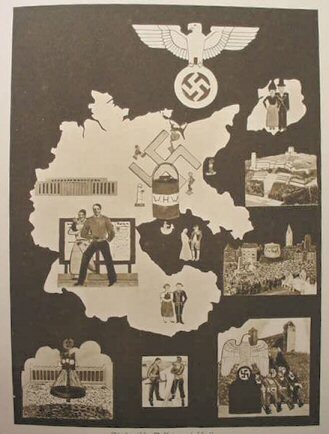 ), was published under the auspices of the National Socialist Teacher's Association under Gaulieter Fritz Wachtler, whose picture appears in the title pages. 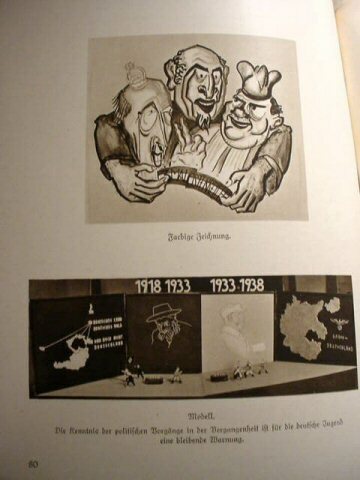 There are 320 pages and the book is loaded with pictures, drawings, posters, photos of party events, leaders, H.J. 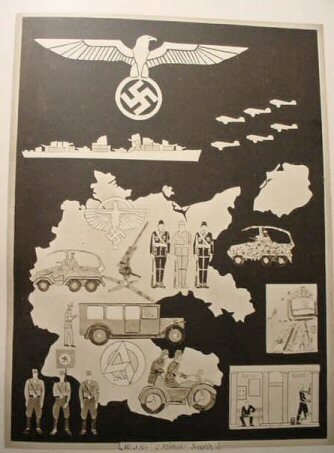 crafts, maps, propaganda placards, etc. 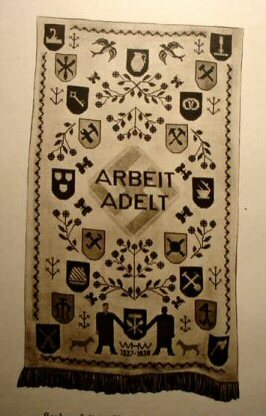 It's about 1 inch thick and measures 9 ½ x 8 inches with the ex libris card in the form of the SS-Totenkopf Standarte "Oberbayern". 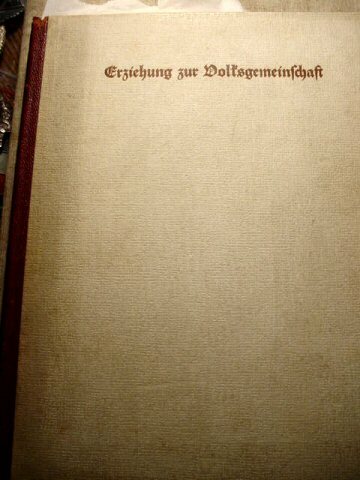 This is a deluxe edition with leather spine. 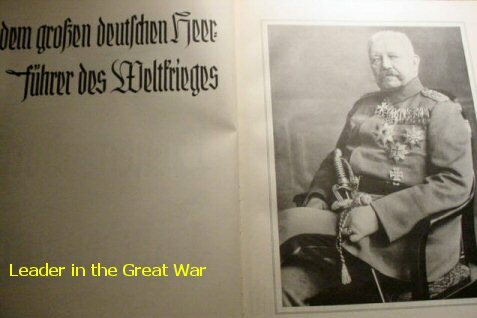 This very rare and beautiful edition is in excellent condition and is extremely important, historically. 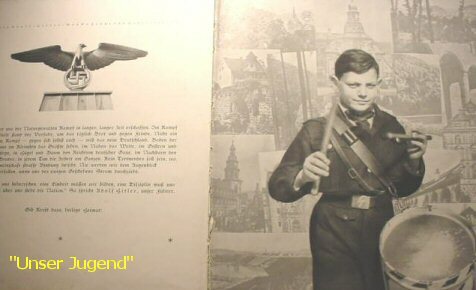 Best among the best! 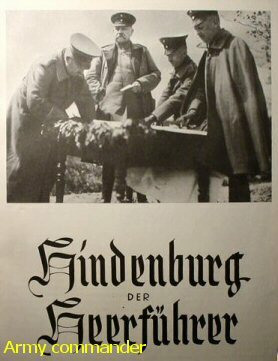 DESCRIPTION: Here is a beautiful calendar for the second war year of 1940. 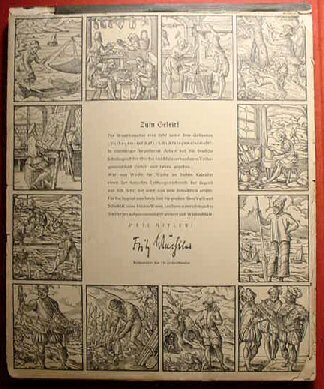 It comprised more than 50 pages of mostly color art plates with some black-and-white images, as well. 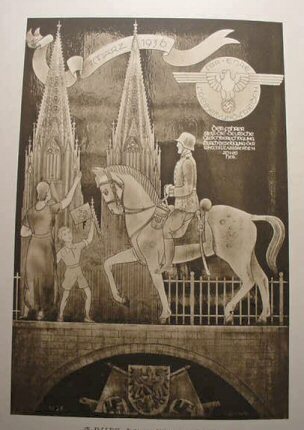 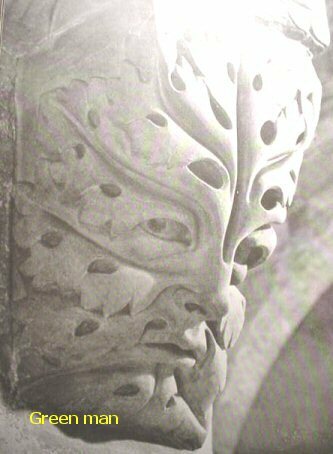 It depicts local customs, arts and crafts, monuments, tapestries, posters, etc. 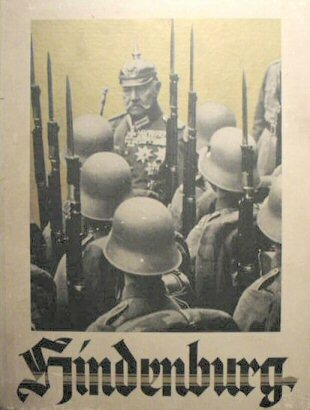 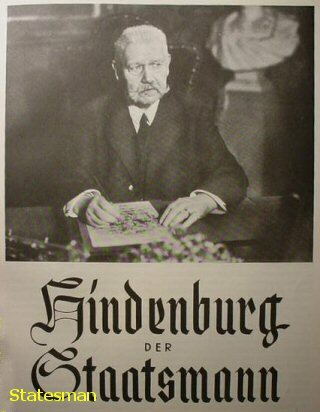 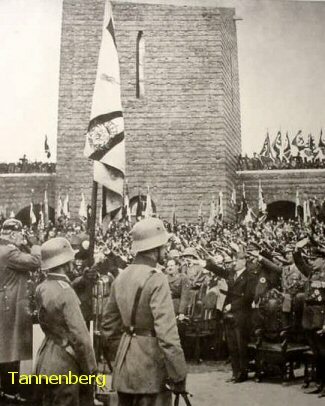 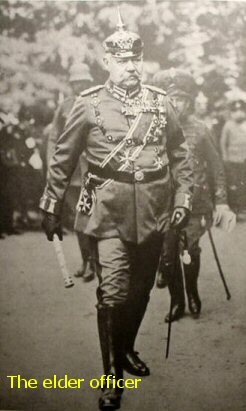 The foreword on the cover is by Fritz Wachtler, the Reichswalter des N.S. 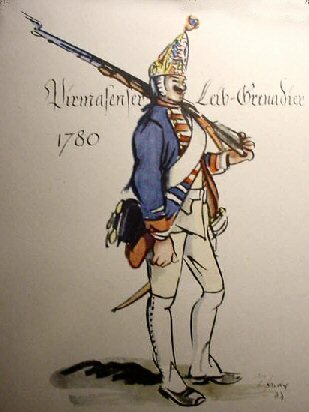 Lehrbunds, or teacher's organization. 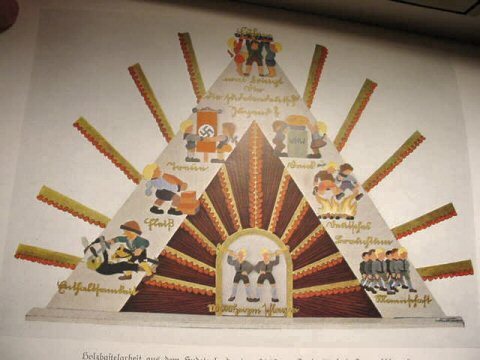 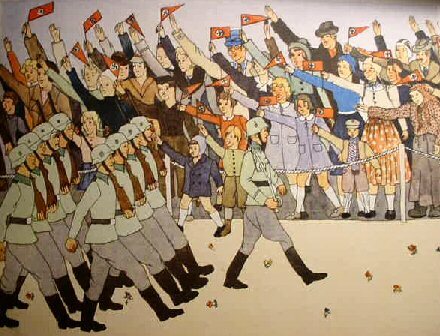 This was made for distribution to German schoolchildren and it reintroduced them to their marvelous German culture through pictures. 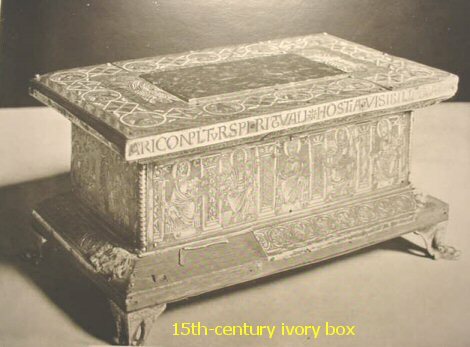 This is quite rare and should be considered very desirable. 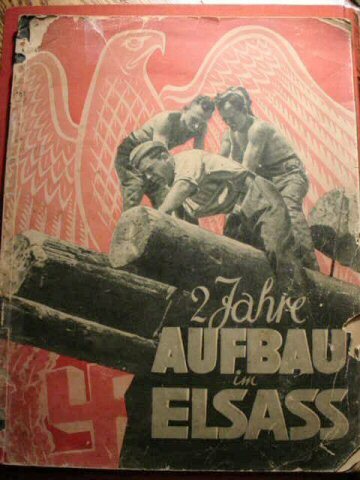 Obviously very important to historical archive collections. 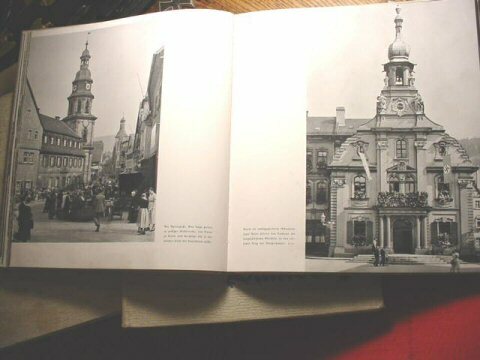 DESCRIPTION: Here we tell you from the get-go that this soft-cover book has a cover that is tattered here and there with a bite or so from its edges; however, the pages are in fine condition and the pictures are incredible-well worth reproducing in a new volume on party accomplishment and ceremony. 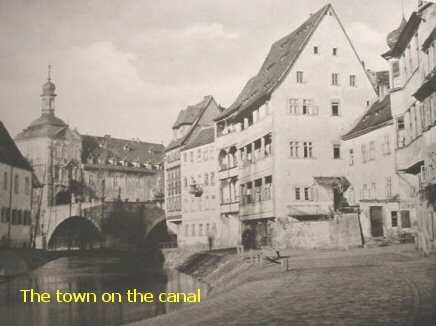 This chronicles the building campaign in the Elsass area. 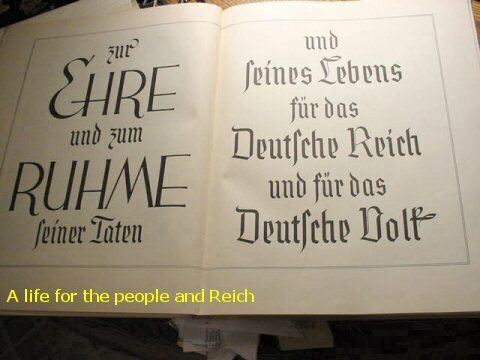 That might sound rather plebian, but think again. 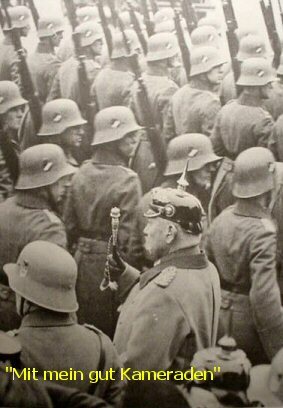 Here is one of the finest archival collections of unpublished photos documenting political and military ceremonies, parades, meetings, etc. 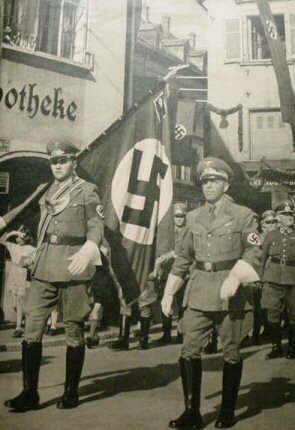 SA H.J. 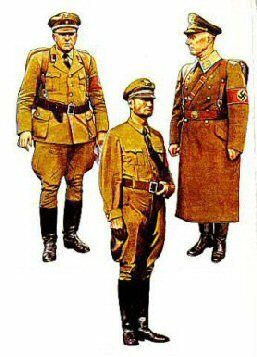 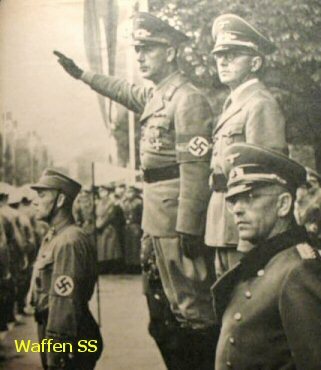 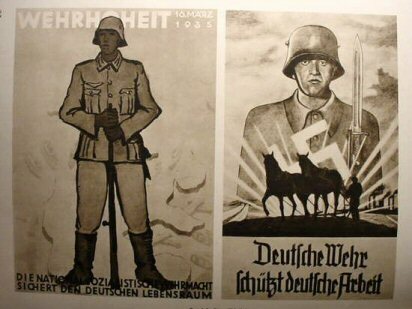 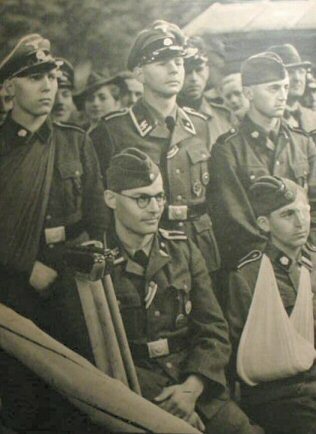 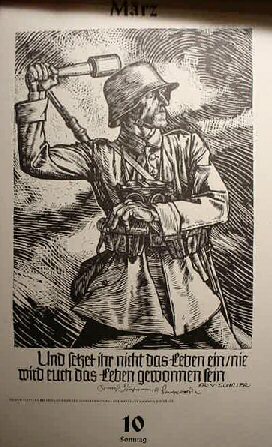 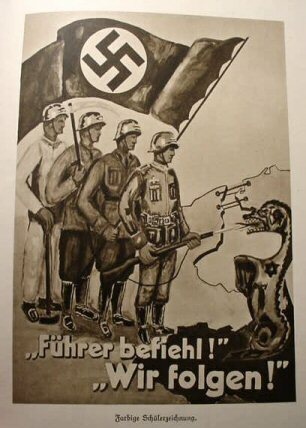 Fraunshaft, SS, Waffen SS political leader corps, Arbeit Dienste, and many of the Reich leaders fill the almost 95 percent pictorial pages. 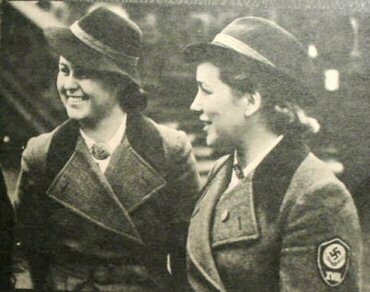 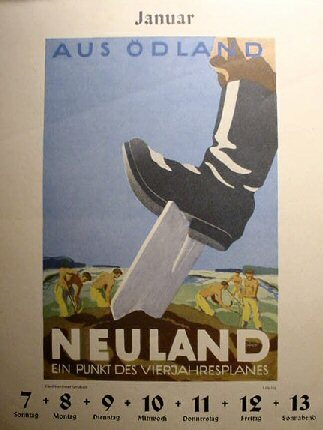 A wonderful archival collection of NSDAP material. 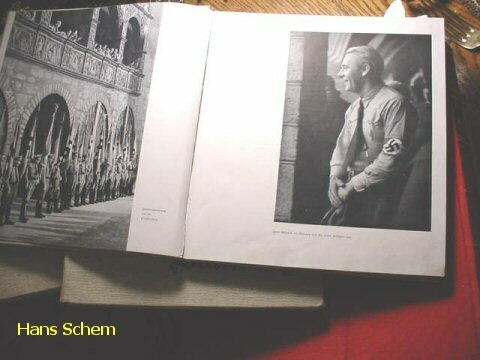 DESCRIPTION: Here is a very nice set of book that are packed in their original book sleeve. 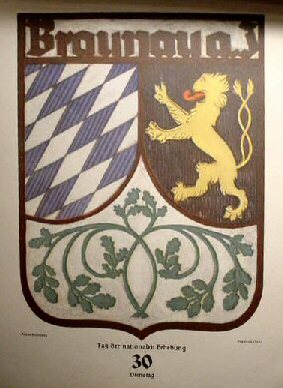 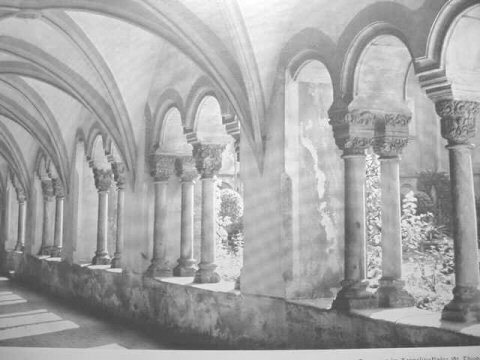 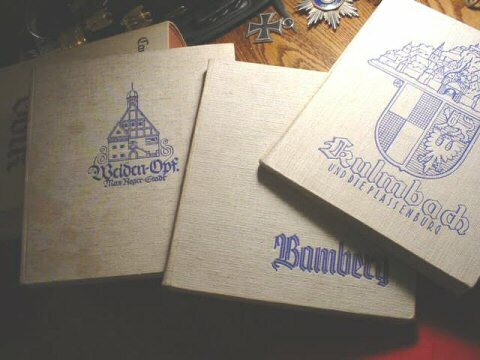 The subject is three important towns of Bavaria; Bamburg, Kulmbach, and Weiden-Opf. 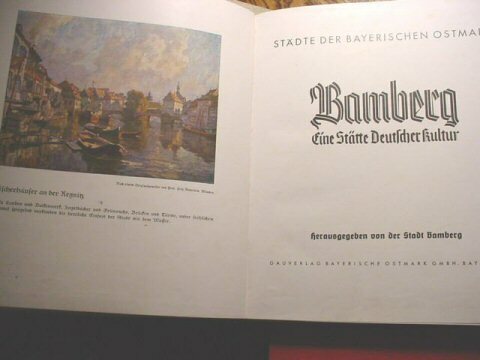 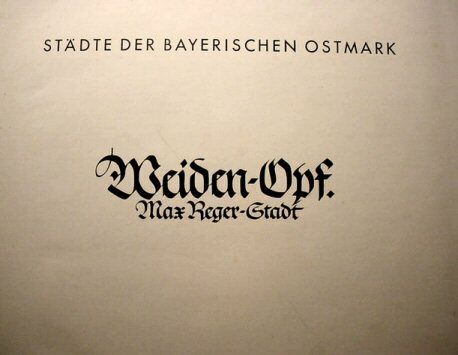 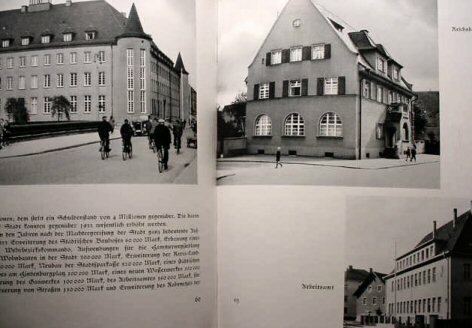 Each town is covered in a separate book published separately also in 1936, 1937, and 1939, but brought together by the Gauverlag of the Bayrische Ostmark GMBH in Bayreuth. 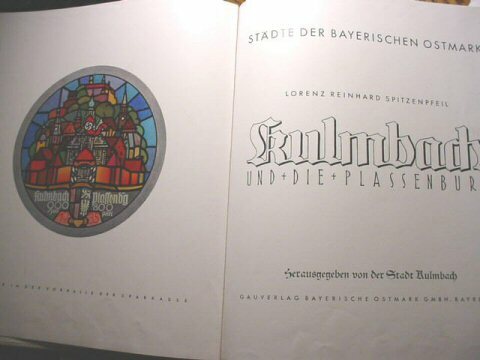 They are beautiful books that show in great excellence of photography the scenic beauty of the Bavarian countryside and ancient Dorfs and villages. 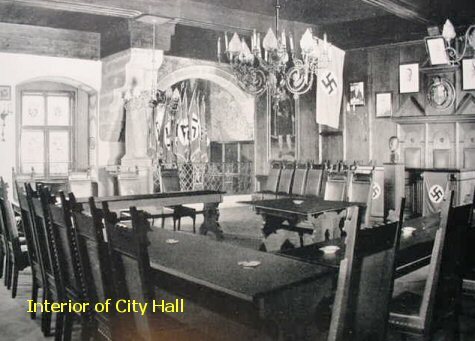 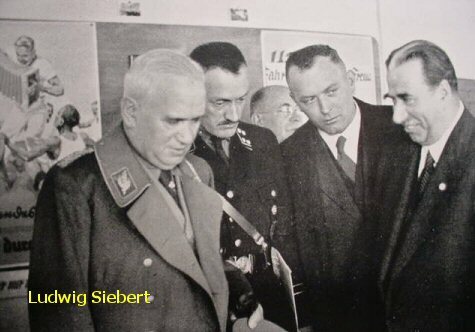 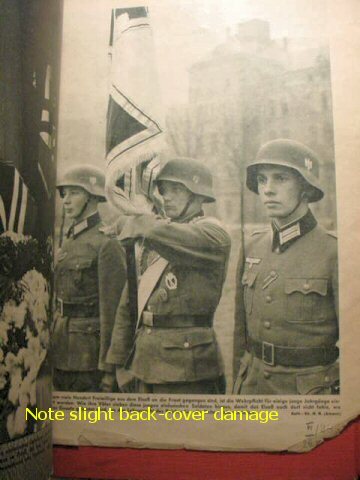 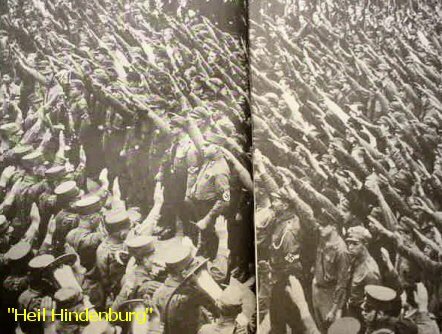 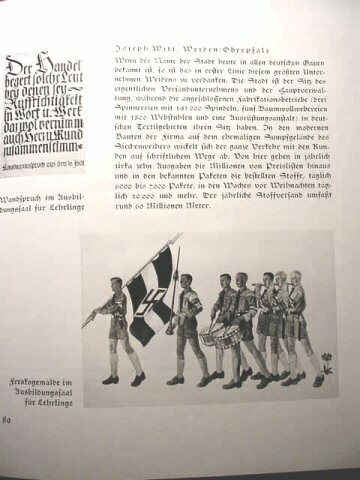 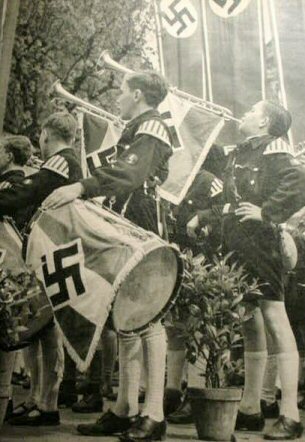 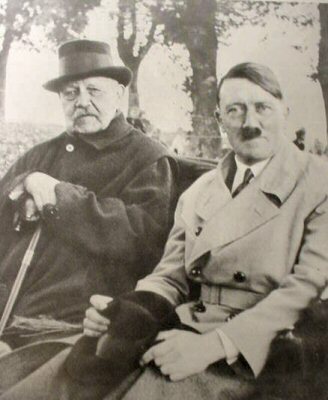 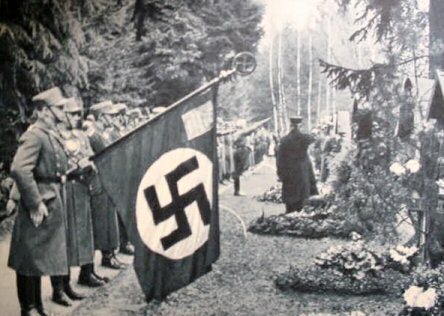 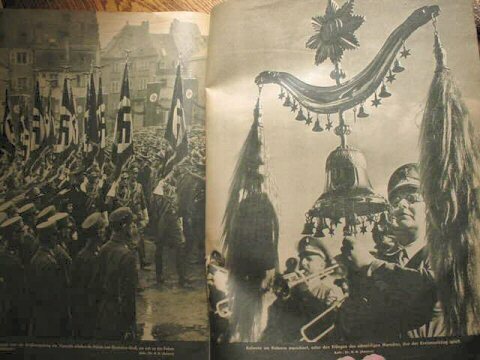 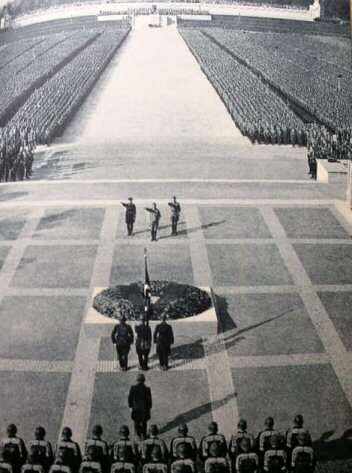 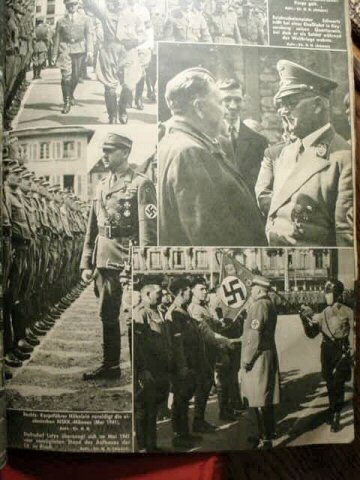 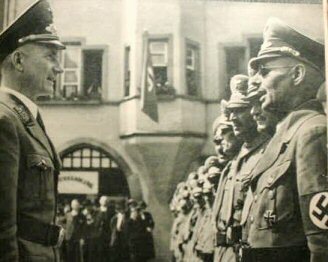 Interspersed are great photos of NSDAP figures, Gauleiters, political leaders, Hitler Jugend, SA flags, symbols, and uniforms are here and there among the pages. 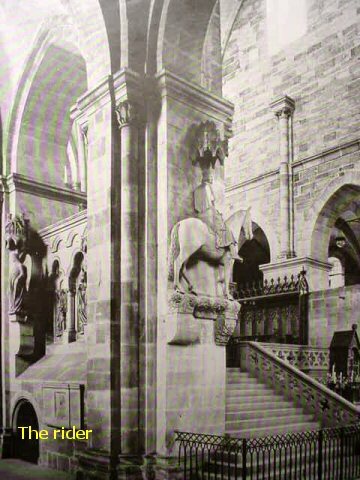 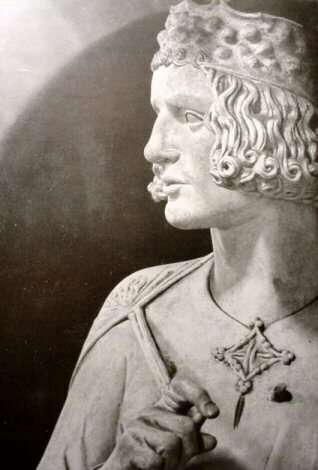 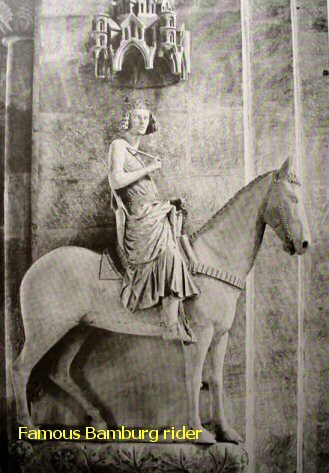 The books are replete with famous statuary such as the Bamberg rider at the cathedral of that beautiful city. 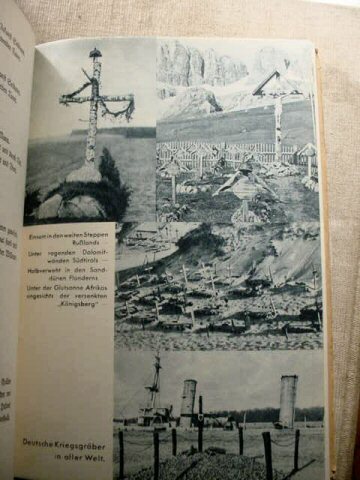 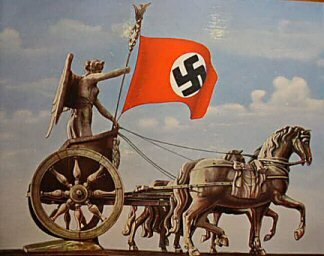 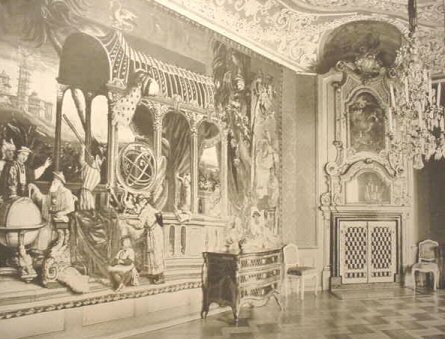 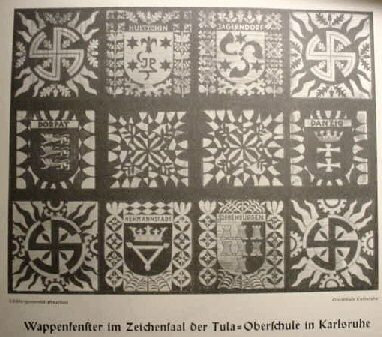 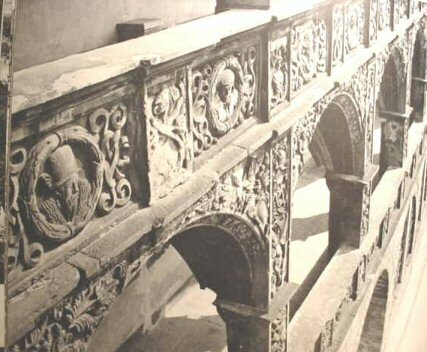 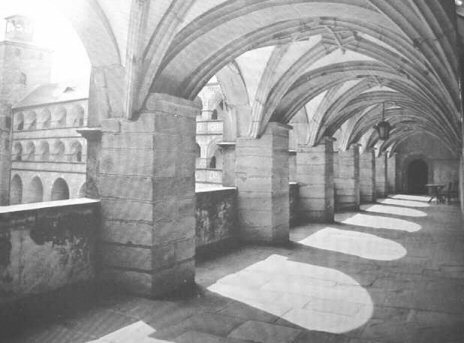 Ancient Teutonic implements in use centuries ago are shown and the monumental architecture known only to the Aryan world is breathtaking in its presentation. 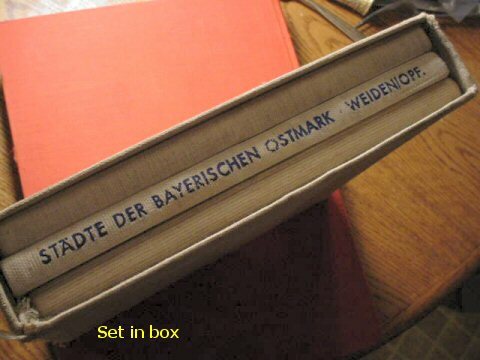 The books average 130 pages and the size is 9 x 8 inches. 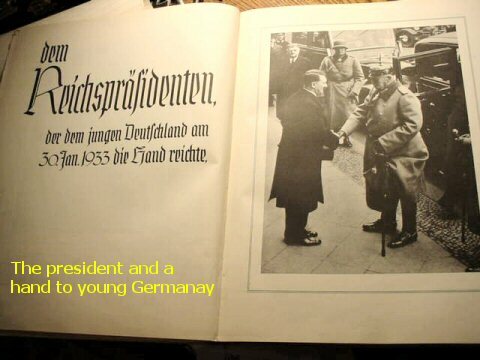 The condition is generally good with spines that are a little loose on two of them. 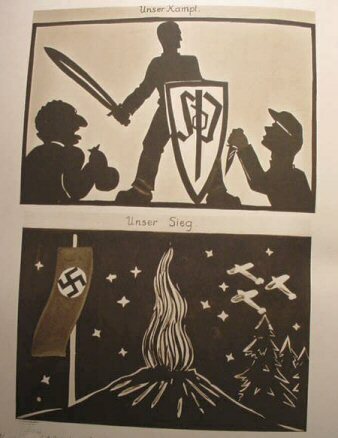 However, nothing to worry about (still fine!). 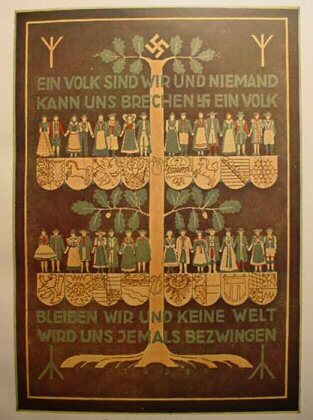 Beautiful and important.